Eight-time Grammy-winning singer Lauryn Hill has pleaded guilty in New Jersey to not paying federal taxes on more than $1.5 million earned over three years. Appearing in U.S. District Court in Newark, Hill admitted failing to file tax returns from 2005 to 2007. She faces a maximum one-year sentence on each of the three counts. She was charged three weeks ago. Dressed in a dark jacket, white button-up shirt and a long reddish-orange skirt, Hill declined to comment after Friday's hearing. During the hearing, attorney Nathan Hochman indicated that Hill planned to pay back the taxes she owes. U.S. Magistrate Michael Shipp initially scheduled sentencing for early October but agreed to delay it until late November to give Hill time to make repayment. Hill admitted she didn't pay taxes on about $818,000 earned in 2005, $222,000 in 2006 and $761,000 in 2007. The money was earned by four corporations she owned. 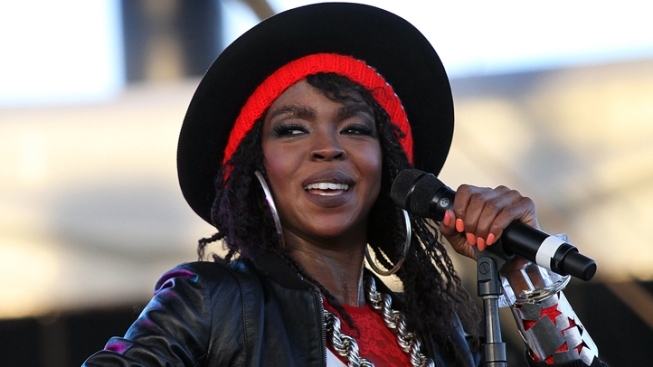 The 37-year-old South Orange resident got her start with The Fugees and began her solo career in 1998 with the critically acclaimed album "The Miseducation of Lauryn Hill." She then largely disappeared from public view to raise her six children, five of whom she had with Rohan Marley, the son of famed reggae singer Bob Marley. After the charges were brought, Hill posted a long statement on her Tumblr page that decried pop culture's "climate of hostility, false entitlement, manipulation, racial prejudice, sexism and ageism." She explained that she hasn't paid taxes since she withdrew from society to guarantee the safety and well-being of herself and her family. Hill hinted Friday that she might expand on those comments at her sentencing. When Shipp asked her if anyone had directly or indirectly influenced her decision to plead guilty, she replied, "Indirectly, I've been advised my ability to speak out directly is for another time, at sentencing."